The end of the oil crisis, the Watergate scandal and The Rumble in the Jungle. What do they have in common? All three took place in 1974, the halfway point of the Seventies. 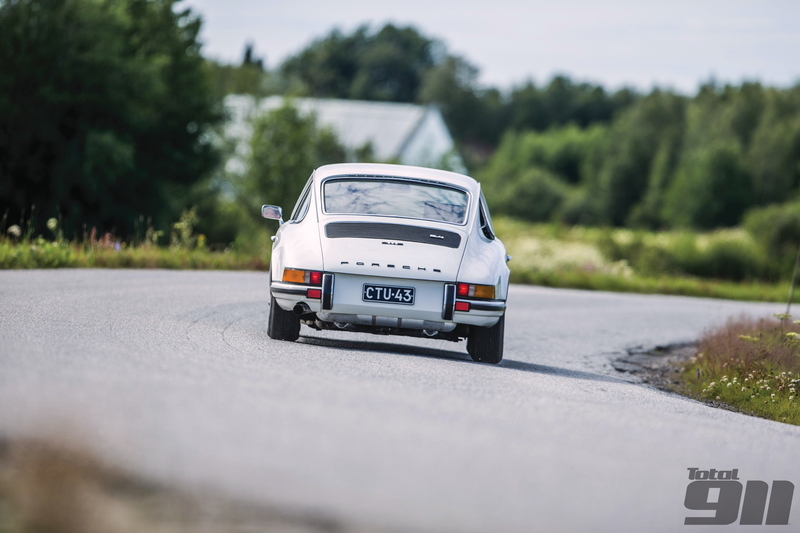 While this trio of events may have defined the year for many, Porsche fanatics will remember 1974 as the year that redefined what a 911 looked like. Two years earlier, the National Highway Traffic Safety Administration (the section of the US Department of Transportation responsible for writing safety standards) introduced new bumper regulations. However, the legislation wasn’t intended to improve safety. Instead, highlighted by the arrival of the Motor Vehicle Information and Cost Savings Act in October 1972, the changes were designed to reduce repair costs for consumers in the event of a low-speed accident. By the time of the 1974 model year, both the front and rear bumpers of new cars in the United States had to be capable of withstanding a 5mph collision without causing damage to lights or the engine. Like most European manufacturers, Porsche was faced with the prospect of having its cars outlawed stateside if it didn’t make the necessary changes. As with the 356 before it, the 911 had been a perennially successful seller in the US; Zuffenhausen couldn’t afford to not make the changes. The G-Series was born. Blocky protrusions suddenly sprouted at either end of the smooth silhouette that sports car fans had adored since first setting eyes on it at the 1963 Frankfurt Motor Show. Porsche’s designers, led by Wolfgang Möbius, managed to integrate the new bumpers better than many manufacturers, but the changes still rankled some for spoiling the aesthetic purity of the previous generation of 911s. Yet the updated fenders weren’t the only changes made to Porsche’s flagship car for 1974. From its introduction in 1967, the 911S was king of the Porsche hill, providing Zuffenhausen enthusiasts with a heady mix of power and comfort. As we found in issue 120, the 2.0-litre S was an accomplished tourer (though was lacking in big bore thrills), while the 2.2 S of 1970-71 exponentially upped the performance stakes, but could have benefitted from some extra refinement. 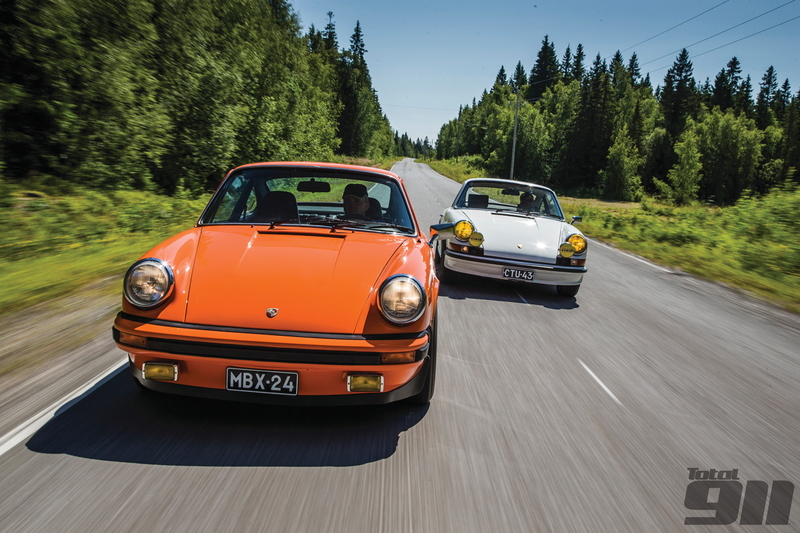 To read our 2.4S v 2.7 Carrera head-to-head in full, pick up Total 911 issue 132 in store now. Alternatively, order your copy online for home delivery or download it straight to your digital device.